Boston Town got back to winning ways with a 3-2 victory at UCL Premier rivals Oadby. Tiago Nassuncolu netted twice to hand the Poachers the advantage at the break, only for the hosts to reduce the arrears after the re-start. 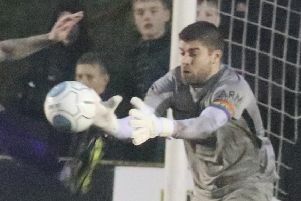 Fraser Bayliss restored the two-goal advantage after Town had seen Danny Horton’s effort cleared off the line and Nassunculo struck the woodwork. There was still time for Oadby to grab a second, but Gary Edgley’s side held on.